Drama Menu is a brand new concept for planning and delivering dynamic, progressive drama lessons and workshops. Packed with over 150 tried-and-tested theatre games, exercises and improvisation ideas, it’s an essential resource for any drama teacher or workshop leader – guaranteed to deliver delicious drama sessions every time. And a few Desserts are also provided, if you have some space at the end of your session for something sweet. 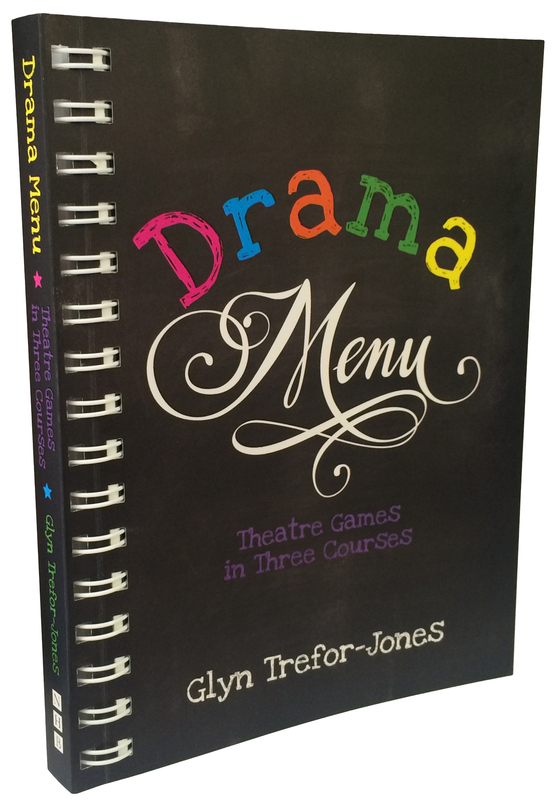 Drama Menu is the recipe book that will relieve the stress of planning lessons and workshops. Now you can get on with what you do best: delivering creative drama sessions that will have your groups hungry for more. The comprehensive Resource Pack accompanying the book is available to download from this page. Visit the Drama Menu website, where you can join the online Drama Menu community, browse and share other recommended menus, and download a selection of sound effects, providing everything you need to start playing straight away. 101 great drama games for use in any classroom or workshop setting. Part of the NHB Drama Games series. A practical guide to conducting improvisation sessions, for teachers, directors and workshop leaders. An inspiring, practical handbook for anyone working with young people to make devised theatre.